On Tuesday, Chevy fired a shot across Tesla's bow when it announced that the Bolt electric vehicle was rated at 238 miles of range by the EPA. Chevrolet says that the new electric-powered Bolt, scheduled to go on sale later this year, can be driven 238 miles before needing to be recharged. There are valid reasons why the Bolt, with its impressive driving range, could truly electrify the market as the battery-powered car of the masses. 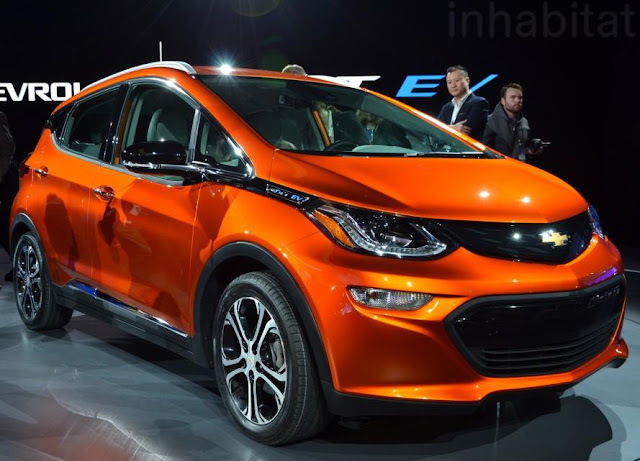 The Bolt isn’t the first electric car, of course, nor is Chevy’s proclamation the first time an automaker has said its affordable electric vehicle will make serious inroads with mainstream consumers. In early 2013, Nissan cut the base price of the Leaf by $6,400, and company executives said they were “confident this will represent a tipping point” in terms of boosting sales for the purely electric-powered car. Nissan went on to sell 22,610 Leafs in 2013, more than double the total the year before. In 2014, Nissan sold a record-high 30,200 Leafs. But that’s only a tiny fraction of the 1.2 million cars the automaker sold that year, and it’s roughly one-tenth the number of Nissan Altimas that drivers bought in the U.S. The forthcoming Chevy Bolt will meet both the criteria of an affordable sticker price and a reasonably long driving range which makes an electric car appeal to the masses. The Bolt is starting production in October and will hit dealerships before the end of the year, priced at $37,500 before federal credits of $7,500. Perhaps most importantly for Chevy, the Bolt will hit the market at least one year before the much-hyped Tesla Model 3 can be purchased. Tesla already has cars that can be driven 200 miles or more on battery power, but they sell for $70,000 and up. The Model 3 is Tesla’s play for the masses, with a sticker price of around $35,000 before incentives. Chevy’s earlier entry into the marketplace is an opportunity to grab middle-of-the-road electric car adopters before Tesla has the chance. It turns out that the Bolt is built around a 60 kWh pack. "The battery pack itself has been engineered specifically to play an integral role in the structure of the Bolt EV," vehicle performance engineer Chris Twarog said. "Not only does the battery contain a unique chemistry that delivers excellent performance, the structure itself contributes to torsional stiffness, efficient packaging and safety." He then explained that there were four key factors that helped Chevy push the envelope with the Bolt's range: a clean-sheet design; lightweighting; battery technology; and improved regenerative braking, a process that allows EVs to use braking to reclaim charge and extend range. "Rather than start from an existing architecture, the team started with a clean slate in order to maximize efficiency, passenger room and power," Twarog said. He added that they " looked for ways to reduce mass" — weight is all-important when dealing with EV range. According to Twarog, the use of aluminum for some components saved 58 pounds, while using the battery pack as a structural component allowed engineers to have the power supply perform two jobs.
" We’ve incorporated advanced battery cell chemistry," he said. 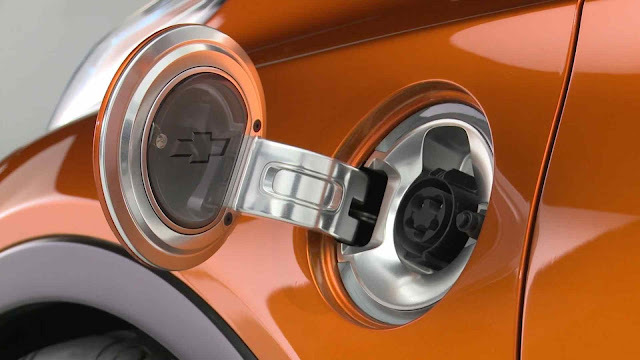 Twarog noted that Chevy learned a lot about heating and cooling batteries from the Volt hybrid and the Spark EV, and that the Bolt use a battery chemistry that requires a smaller active-cooling system than other electric cars. Finally, he said that Chevy took a new approach to regenerative breaking, incorporating a "low" driving mode that "allows drivers to recapture energy and send it back to the battery."